I honestly enjoyed every part of the course, so I don't have any comments - apart from I loved it! 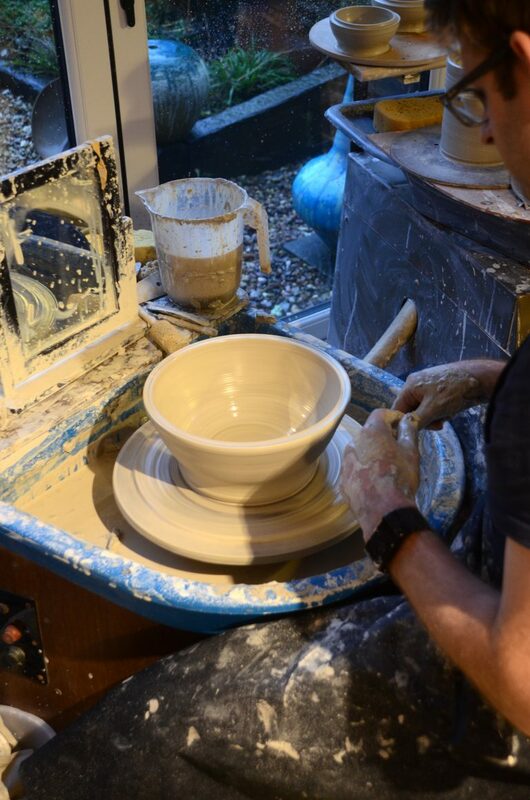 The taster session is an ideal way if you have always wanted to have a go at throwing on a potters’ wheel. 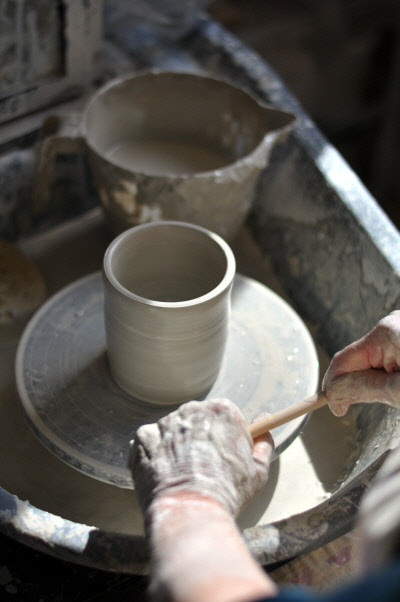 You will learn to prepare the clay, work with the clay on the wheel and remove the finished item ready for the next processes. It will be relaxed and you will learn at your own pace. 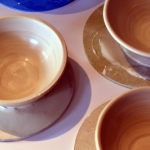 If throwing on a potters’ wheel doesn’t appeal, then we offer the chance to hand build. You will learn to prepare the clay, construct a simple vessel using a number of techniques and decorate using clay slip. It will be relaxed and you will learn at your own pace. We’ve found that two can have as much enjoyment as one. While one is learning to throw the other can be hand-building. At suitable points, they swap. Or both can learn to throw together. This course has proved very popular. 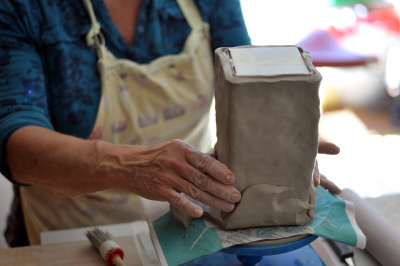 Want to get back into working with clay? Not done anything since school? Want a confidence boost? This is your opportunity to kick-start the hobby. From one day to one-week, we can design a course to whet your appetite. Go on, challenge yourself. We have students who have booked a whole week, to completely immerse themselves in the subject. If you are up for the challenge simply call us and we will tailor something specifically for you. Are you already competent but have nowhere to use your skill? 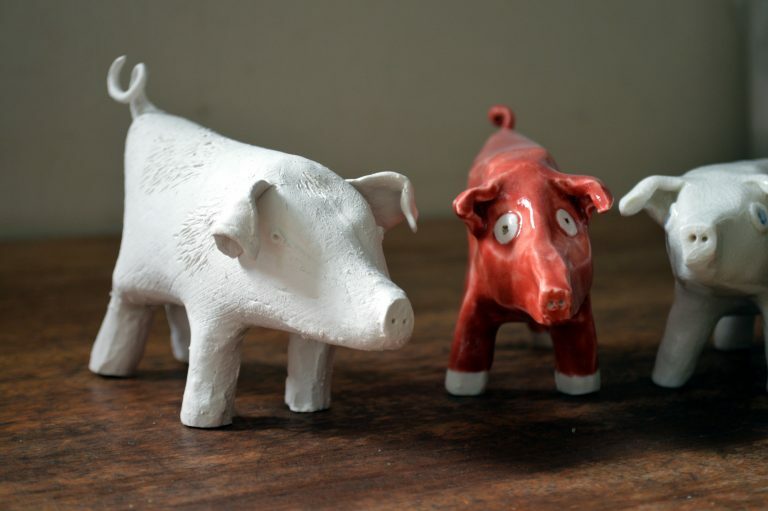 Not found a ceramics studio who can help? Why not use our facilities. We don’t use them all the time and we can arrange for access. So why not come and see and rent some space and get making. 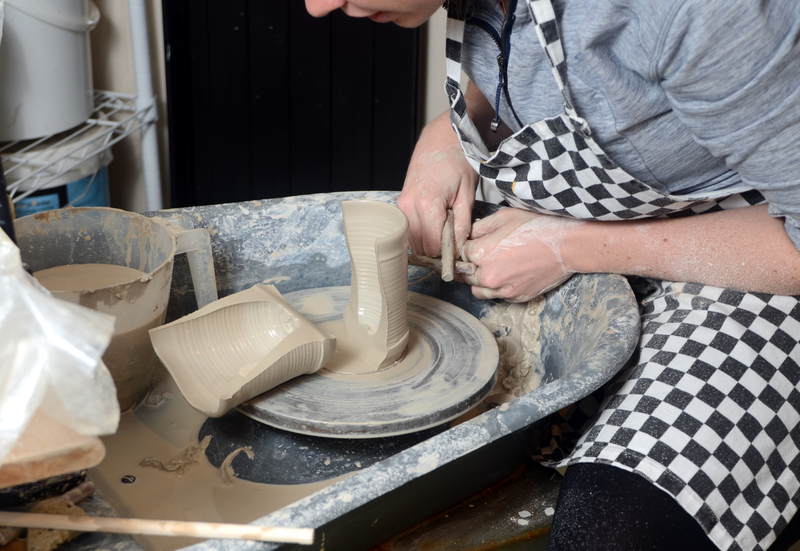 ‘But, I can’t draw…’ Many people struggled with this at school, but there is no need to be Da Vinci to enjoy working with clay. When you leave you will have the opportunity of having your work sent on to you after firing. As mentioned above, we also offer individually tailored courses. We give you our undivided attention, will work at your own pace, and help you develop. For details of costs and availability and how to find us, please telephone or use the contact form. Courses for adults start from just £50 per person. I can honestly say the 1 2 1 teaching and friendly warm atmosphere made the day go so quickly, I can't wait to book for return visit.